Cool Whip is bred for muscle, balance, soundness, hair, money, and winning results! 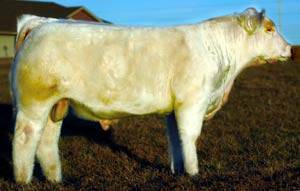 He is outcross for purebred breeders, and a very complete and unique bull to raise those popular Smokies. 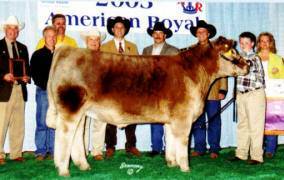 Cool Whip's dam produced the Champion Steer at the 2005 American Royal.